Last year, United Way of Monmouth and Ocean Counties (UWMOC) celebrated 50 years serving the Jersey Shore and recognized the impact we have had on our residents over such a significant amount of time. We have evolved from our beginnings as a fundraising federation that distributed donations across a range of needs to a focused convener that is tackling the unmet needs in our community. In preparation to serve our community for another 50 years, we have created a multi-year strategic plan to advance our work. The strategic plan generated a new mission and vision statement that focuses our work on improving the lives of youth and their families. Beginning in 2018, our community impact programs will fall under the four areas of school readiness, early grade reading, youth career pathways and financial stability. Our work will not only target the challenges of today, but prepare the youth of our community to be successful in the future. We would like to thank the Jay and Linda Grunin Foundation for their generous support of our new mission and vision with the Grunin Foundation Challenge. Through this challenge, any new funds raised until 2021 will be matched dollar for dollar up to $1 million. This match has spearheaded our new initiatives to affect Monmouth and Ocean counties in long-lasting, life-changing ways. Thank you to our donors, board, volunteers and staff for the impact we achieved this past year. As we continue to implement our strategic plan, we look forward to working with all of our partners in our commitment to LIVE UNITED. 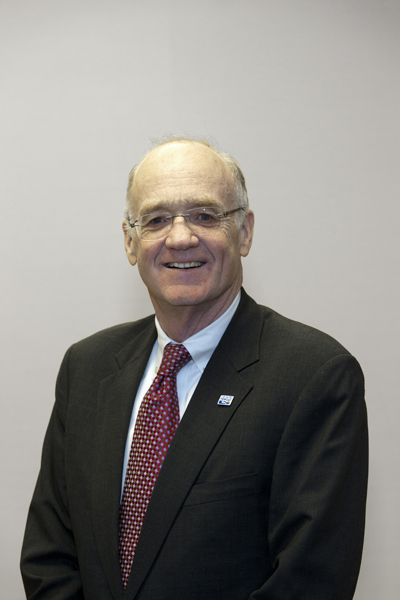 Timothy Hearne has served as President and CEO of United Way of Monmouth and Ocean Counties (UWMOC) since March 2008. He is responsible for directing UWMOC’s mission of mobilizing donors, volunteers and community partners to improve the lives of youth and their families. During Tim’s tenure he has directed the change to a community impact model of distributing funds, led UWMOC’s response to Superstorm Sandy and orchestrated the recent merger of the United Ways in Monmouth and Ocean counties. Hearne joined the NJ Natural Gas Co. in 1985, and he culminated a 21-year career there as Senior Vice President and Treasurer. He oversaw all internal and external financial reports for NJ Resources Corporation, the parent company of NJNG, and he represented the company before the New Jersey Board of Public Utilities. He was also responsible for governmental affairs, human resources, regulatory affairs and all short- and long-term financing of NJNG. Timothy Hearne is currently the Treasurer and board member for the United Ways of New Jersey, NJ 2-1-1 Partnership and the New Jersey Utility Shareholders Association. He is the past President of the Brookdale Community College Foundation and has served as the Chairman of the Jersey Coast Chapter of the American Red Cross. He also served on the Legislative and Regulatory Affairs Committee for CentraState Health Care System and is a former board member of the NJ Utility Association. Hearne received his BS in Accounting from The College of New Jersey and his MBA in Finance from Rutgers Graduate School of Management. He is a certified public accountant (inactive) in the State of NJ and resides in Holmdel with his family.